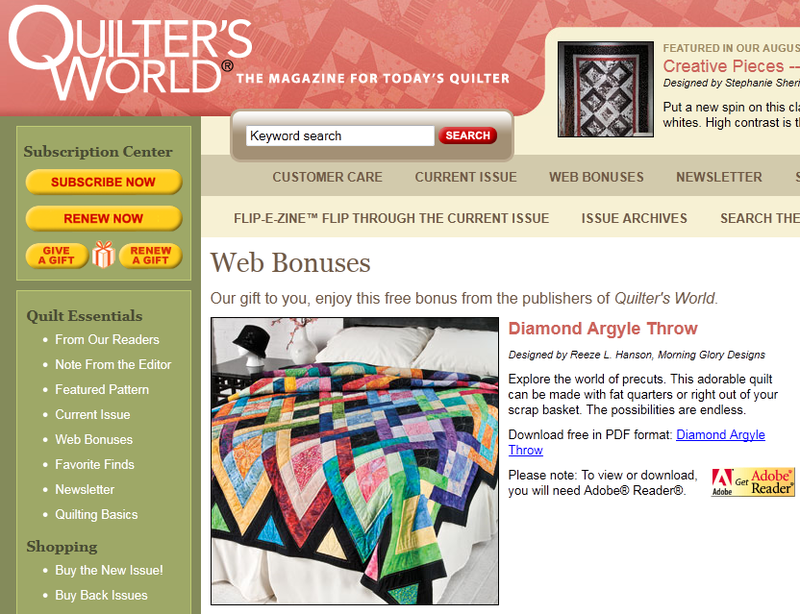 This month Quilter's World Magazine published my Diamond Argyle quilt pattern as a web bonus. That means you will be able to download the pattern as a PDF file and print it out (if you have a digital or print subscription to the magazine). If you buy the magazine at the newstand you will also be able to download the pattern! You will find a code for accessing the download on page 45 of the August 2011 issue. But please note that the download code is only good for 2 months (until the next issue comes out) so download and save the pattern or print it out while the issue is current. Of course if you get a digital subscription you have access to all the web bonus pattern as well as digital copies of all issues going back to 2006. That is what I do. 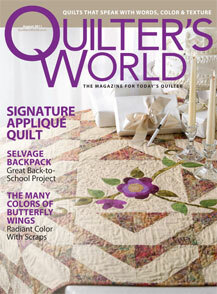 That way I have access to all the patterns, and the digital subscription is cheaper than the print subscription! This was a really fun quilt to make. I used all diamond shapes which were cut from strips and followed a chart to help me keep all the colors straight. 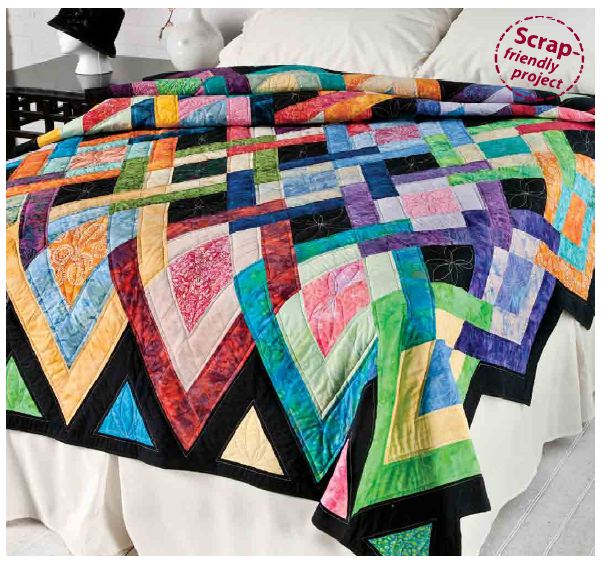 You really do need a design wall for this quilt, so you can lay the strips out on the wall as you go. It goes together really fast by creating diagonal rows and then sewing the rows together. And yes, I did make a mistake or two when I was piecing the top. But it was easy to fix. I cut strips of all the colors I planned to use, counted the number of each color I needed, then cut diamonds using the Marti Michell diamond template. I love her templates because you can cut off the points and it makes lining up the diamonds to sew them together WAY easier. Then I stacked all the colors for each diagonal row together in a stack so I could just pick up 2 diamonds and start sewing. I would lay out the strips on my ironing board (I have a big board) and double check the position and color of each diamond against my chart so I was sure I didn't make any mistakes. NOTE: When using batiks for this project it is great because there is no right or wrong side!! I loved that and it sure made it easier than trying to be sure I always had right sides together. Once I had four rows completed I would sew them together and double check again. Then they went up on the design wall while I worked on the next four rows. The cool thing about this pattern is that you can use any size diamond! So your quilt can get bigger or smaller just by changing the size of the diamond template! As I was cutting all the diamonds for my quilt using 3" strips I cut any remaining strips in half, to 1-1/2" strips and then cut the same number of mini diamonds! 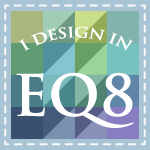 I plan to make a half sized version of the quilt as well. Since the is a "CHARM" quilt = all the pieces are the same size and shape -- there are no blocks to sew together. Once the diamonds are cut you are putting the quilt together as you go. It is fun to see the results come together on your design wall with each seam!! 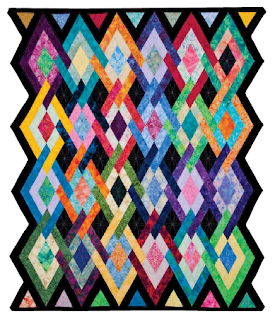 You can also increase or decrease the size of your quilt by making more rows or fewer rows of diamonds. That requires a bit a graphing it you want to make it bigger. 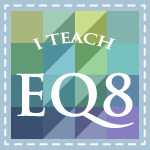 I used EQ7's one-patch layout feature and that made it really easy to make it bigger or smaller. Now I know you are fretting already about binding those ziggy zaggy edges. I found a great video tutorial the other day on how to do those and it is really really good. Go here and take a look at this great resource by Marci Baker for Alicia's Attic. Scroll down to the 4th video tutorial to see this one. 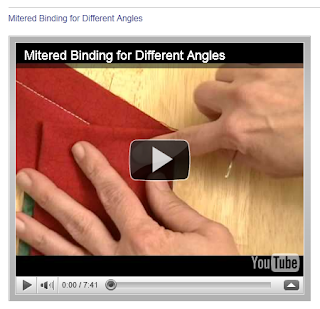 She demonstrates how to do both "innies" and "outies" on diamond edges, just like the kind you will find in this quilt. And yes, it really is easy to do. She also talks about how to do it in her book "Not Your Grandmother's Log Cabin." Hope you have fun making his quilt! 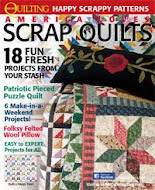 And -- hold the presses -- I will have a quilt in the December issue of McCall's Quilting called Civil War Stars. 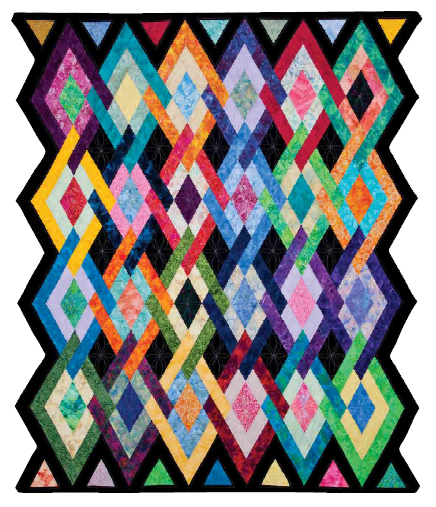 Watch for more info on this quilt in my next post. This is so beautiful Reeze! Reeze: This is great - a beautiful quilt and another publishing! Kudos to you. What a gorgeous quilt. I wish I was a subscriber to that magazine now but, sadly I am not. What a gorgeous quilt. I wanted to let you know that I finished the Midnight Posies Quilt with a bit of a twist.